Dec 18, 2015 Thank you for choosing 50 Floor to complete your flooring project. We deeply regret the misunderstanding with your finance account through Wells Fargo. Your Wells Fargo flooring solutions card was processed with a hold until completion of the contracted installation. The hold has since been removed, although Wells Fargo requires 48-72 hours to complete the process. In regards to the deposit amount charged to your credit card, 50 Floor has reversed this charge as well. The charge was initially processed so we may move forward to order the contracted products. Most banks require at least 48-72 hours to reverse any charges that have been made, so please allow them the opportunity to place these funds back to your account. We wish you well with completing your flooring projects. 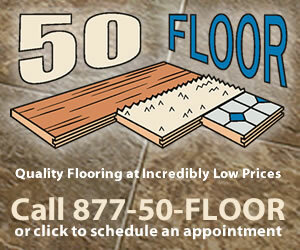 Please feel free to contact me with any questions, concerns or even if you consider potential flooring projects through 50 Floor. This is the most unethical compamy I have ever dealt with they dont have merchandise but charged my account after I advisee them I did not want there services. Review #752714 is a subjective opinion of User752714.